Linda hails from Maysville, Kentucky where she was born the middle child of 13 children. From her early life on a rural farm to her current life in the city of Columbus she has learned many skills that she uses to continually improve her status as a woman of God. As a member of the Church of Christ on Gennesse, Linda is active in the Education Department, Vacation Bible School, Youth Ministry, Marriage Retreat, Grace Black Foundation and the Ladies Ministry in addition to leading the Hospitality Ministry. She also has been a leader of the Ladies Ministry. 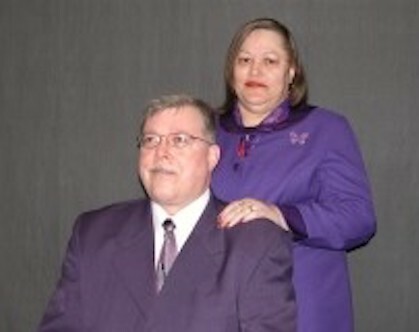 Linda is the wife of church deacon Barry and the couple has 3 children. They are the proud Grandparents of 4 young men. Linda has been a highly-regarded employee of J P Morgan Chase for over 45 years, where she currently serves as a Lead Business Analyst. In many homes, the central gathering place for family, friends, and visitors seems to be the kitchen, and it is no different with our church home. The kitchen is a place of warm welcoming feelings. It is where we can all come together in a relaxed and easy manner. Kitchen Services helps in the planning, preparation, and service of meals. Kitchen Services also helps in budgeting, planning, and organizing of various events. One very special type of event that Kitchen Services handles is a Repast Meal following a funeral. Services include menu selections, decorating options, set up for up to 150 guests, serving a complete meal, and clean-up activities. In addition, Kitchen Services maintains the kitchen area and all equipment. This includes a stock room filled with standard supplies and a library of decorations, serving pieces and special equipment. For I was hungry, and you gave Me something to eat; I was thirsty, and you game Me something to drink; I was a stranger, and you invited Me in; naked, and you clothed me; I was sick, and you visited Me; I was in prison, and you came to me. A good host or hostess tries to make his or her guests feel welcome and at home. To do this the host must be continually aware of the needs of those guests, whether they are visitors or family members, and be ready to step up and take action when needed. This means visiting folks and encouraging them when they are in need of a friend. It could mean offering a ride, a meal, or a hug when needed. Hospitality also means being aware of the services other ministries provide and directing people to them as their need requires.